No matter what the season, the weather in Jackson Hole can change quickly. Whether you are in the valley or in the mountains, the golden rule is to be prepared. Plan on packing a number of clothing layers to assure your comfort when vacationing in Jackson Hole. 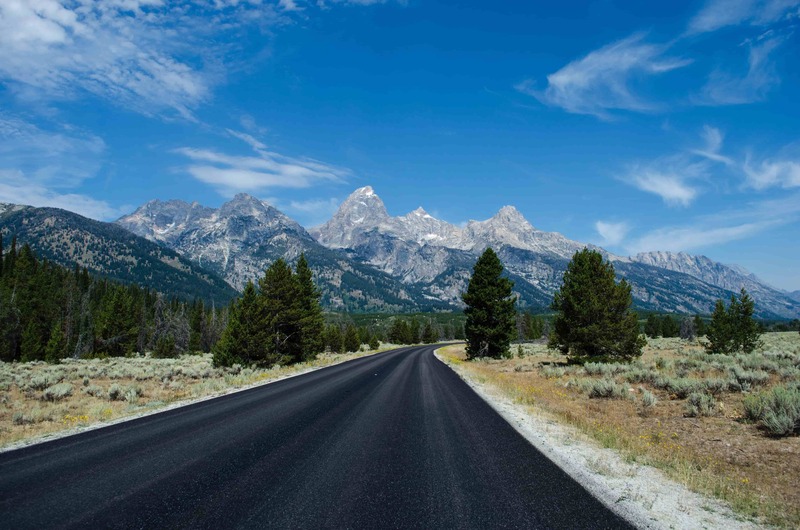 Summer months in Jackson Hole are delightful and most aptly described as bluebird sky days sandwiched by cool mornings and evenings. We usually experience less than a dozen days in July and August where the daytime temperatures reach the upper 80s and low 90s. Sunny weather in the Jackson Hole area. Night time temperatures can easily drop down into the 50s or colder, especially in June and September. Afternoon thundershowers are normal, and can be intense as they travel quickly across the valley. Fall is absolutely beautiful in the valley, and is sometimes referred to as the "secret season." With shorter sunny days and cooling temperatures, the cottonwood and aspen tree leaves become brilliant yellow. 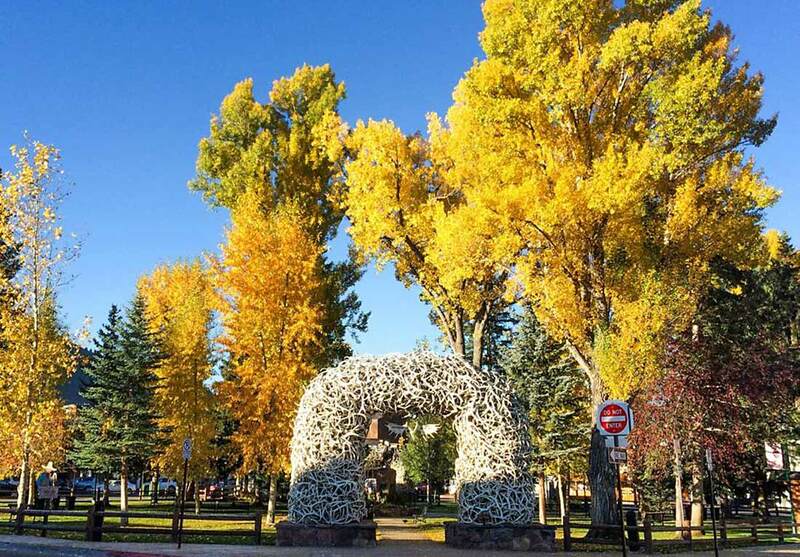 Leaves changing color during fall in downtown Jackson Hole. Autumn remains warm enough to enjoy many summertime activities, from fishing to hiking, all with fewer crowds. As the end of fall approaches, the pleasant weather can be interrupted by rain in the valley and snow in the mountains, which can unexpectedly delight skiers and snowboarders. 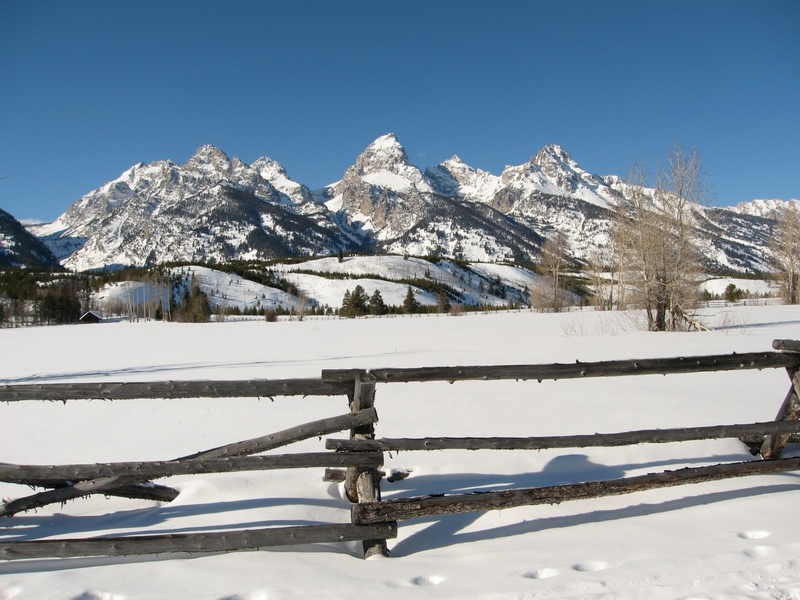 Jackson Hole has a reputation for experiencing snow every month of the year, keeping the mountain peaks snowy white. With cooling temperatures throughout the fall, winter arrives and the valley is blanketed in snow by December. Winter temperatures can easily range anywhere from subzero to 35 degrees Fahrenheit. The temperatures tend to be warmer when it is snowing and cloudy overnight. The coldest weather happens when the days are sunny with skies remaining clear overnight, creating an inversion. This is when the cold air is held down near the valley floor by a high pressure front. The good news is the temperature can be 10 to 20 degrees warmer at the top of the mountains, making for an epic day on the slopes! The weather can be a bit unpredictable during the spring months. Temperatures can make major swings as storms travel through the valley. Snow storms give way to spring showers and brilliant sunny days as winter makes its slow retreat. When the ski resorts close, skiers and snowboarders enjoy the backcountry snow into the spring. 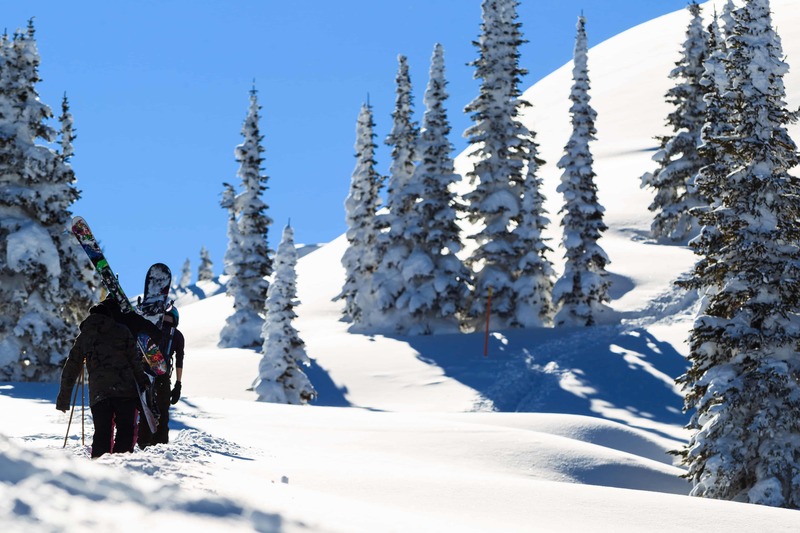 While snow may hinder travel in the high county, it does make for great backcountry spring skiing! Your rendezvous with a great deal! 3610 N. Moose Wilson Rd. © 2019 Rendezvous Mountain Rentals All rights reserved.